Backup Disaster Recovery with Intelligent Business Continuity Planning. When your server crashes, you get hit with a computer virus or you experience a power outage, keeping your business up and running with minimal data loss and customer frustration is paramount. Most of organization realizes the importance of DataAvailability when they lose it. Your data is as important as your investment or your marketing plan. Secure it . Save it BIPL provides Backup solution for small, medium as well as big organization using our skills, Software (Veritas, Arc server) as well as Hardware (HP Compaq as well as IBM) storage devises. Are you unable to retrieve your files Let us recover your data. Do you backup your PC regularly There is nothing worse than losing all your valuable data, let us install a DVD burner or zip/tape drive or another hard drive to mirror your data. MailVault - Universal Email Backup & Archiving Solution Business email contains valuable data and needs to be preserved safely for long periods of time. We live in an uncertain world and, if you are like most executives, you worry about the safety of your data and the continuity of your business and core offerings. Our backup and disaster recovery solution secures your data and the continuity of your business to help you. 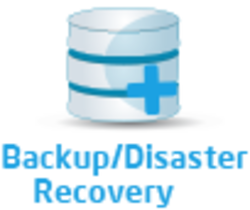 Providing the complete solution starting from Database back-up to complete Disaster Recovery Implementation and support with desired redundancy. Wayzon IT follows a consultative approach in helping the customer identify the best practices to ensure the deployment of a practical back up and disaster recovery approach. “DR can have at least three contextual meanings – Data replication, Data recovery and Disaster Recovery. Keep your business running smoothly even in times of chaos with a smart backup and disaster recovery implementation.